On Wednesday, September 27, from 12:15 p.m. to 1:15 p.m., Aronberg Goldgehn members Nate Lichtenstein and Amy Gibson will present “Employment Law: Highlights From 2017 and Beyond” to The Decalogue Society of Lawyers. 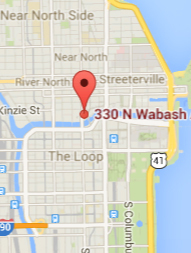 The presentation will be held in Suite 775 at 134 North LaSalle Street. 1 hour General MCLE credit for Decalogue members will be available. Nate Lichtenstein is Co-Chair of Aronberg Goldgehn’s Commercial Litigation Group. He focuses his practice on complex commercial litigation, including employment matters. In the course of his practice, Nate has represented a broad range of business and commercial clients, including financial institutions, title insurance companies, advertising agencies, viatical and life settlement providers and brokers, and companies in the manufacturing and service industries. He has tried cases throughout the United States in state and federal courts, has argued cases before state and federal appellate courts, and has represented numerous clients in domestic and international arbitration hearings. Nate has lectured before professional groups on a variety of topics, including "Employment Status and Liabilities" at the 2017 AKO Conference in Oxnard, California. Amy Gibson is Co-Chair of Aronberg Goldgehn’s Commercial Litigation Practice Group. She defends local and national employers in litigation and administrative proceedings involving claims by employees for discrimination, retaliation, violation of state and federal wage and hour laws, and worker misclassification. Amy frequently authors articles and alerts relating to the ever-changing employment laws, including one about the new Cook County and City of Chicago Paid Sick Leave Ordinances that can be found by CLICKING HERE.